This precious picture was taken after the birth of my 2nd who also was diagnosed with PKU right after birth. It symbolizes the bond that these 2 sisters will always have..going through life facing all the food and medical issues that come along with PKU. 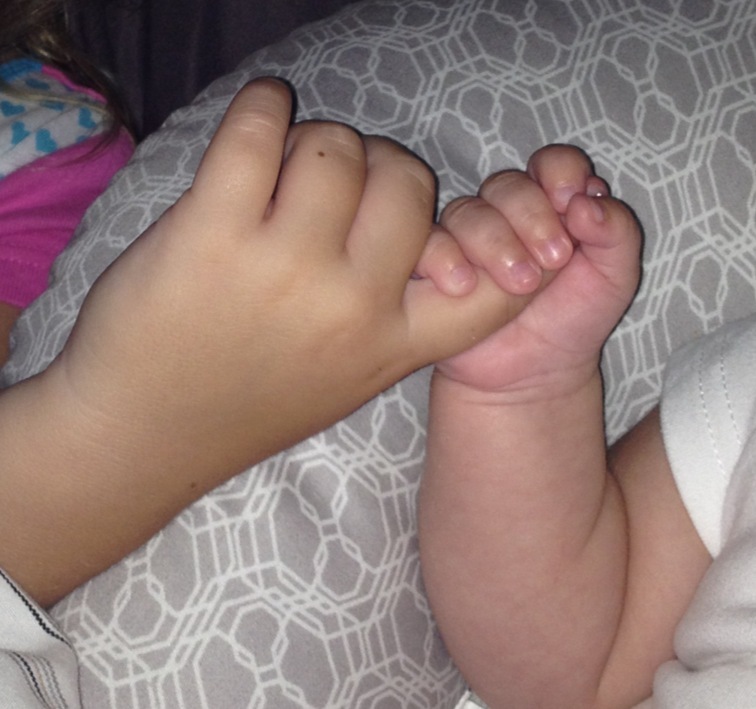 It captures the bond that these two will always share that is so rare that only each of them will understand. They will understand each others battles, fears, frustrations with me cheering them on and advocating for them. It reminds me of the strength I have found in myself, the skills they have taught me and the relationships we have built along our journey with our amazing metabolic Doctor and dietician every step of the way. An even shorter story for this picture is our PKU life. Without our insurance covering the formula and the State of Nebraska allowing the food allowance I don’t know how we would make ends meet…our girls require the foods and formula and it’s not an option.